To honour the more than 100 children killed in Peshawar, we, the world's youth, teachers, parents and global citizens appeal to our governments to keep their promise, made at the United Nations in 2000, to ensure all out-of-school children gain their right to education before the end of 2015. We are standing up to bring an end to the barriers preventing girls and boys from going to school, including forced work and early marriage, conflict and attacks on schools, exploitation and discrimination. All children deserve the opportunity to learn and achieve their potential. We are #UpForSchool. A band of men walked into a school in Pakistan and massacred over 100 kids. 100 CHILDREN! What kind of person does something like this? Someone who sees schools as a primary driver to keep young people from recruitment into a life of violence. 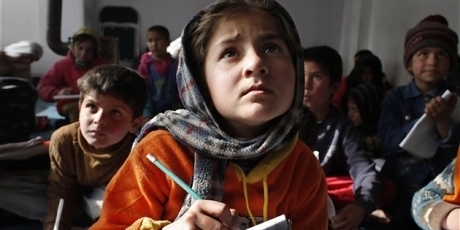 Education isn't just the best antidote to poverty, it is one of the best anti-terrorism tactics -- it helps kids get out of hopelessness and into opportunity. Let's meet this tragedy with a massive global call to get every child in school. Our governments promised they would get all kids in school across the world by the end of 2015. Let's make it happen now for Pakistan and other countries -- join the campaign to honour the memory of the children of Peshawar -- it will be delivered by Gordon Brown, UN Special Envoy on Education, to the Prime Minister of Pakistan, and leaders who can make it a reality. Add your name now.